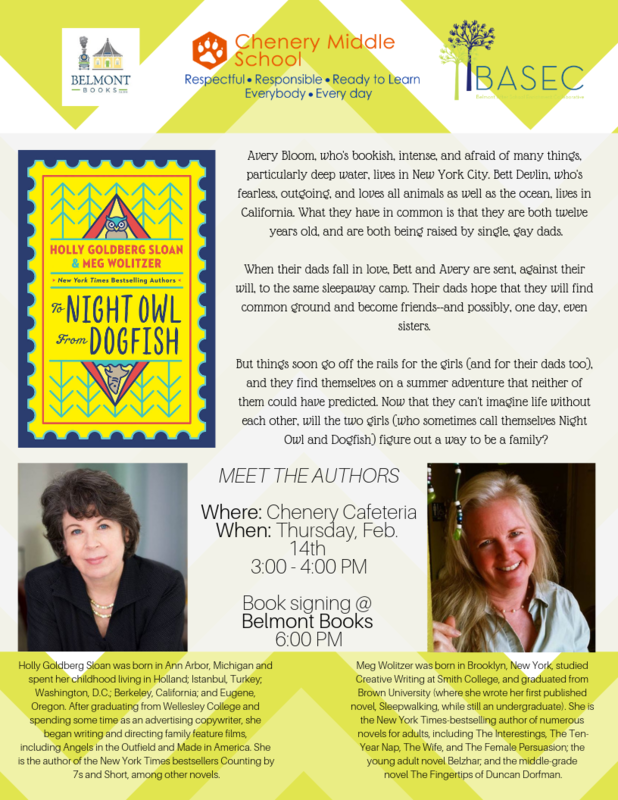 We are excited to announce three “Meet the Author” events happening in the month of February in collaboration with Belmont Books and Chenery Library. 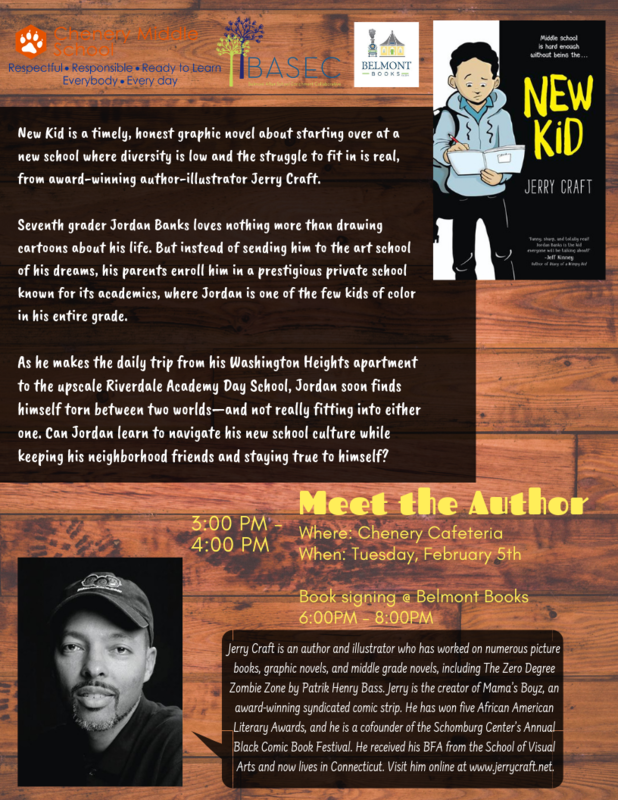 The events will be taking place in the Chenery cafeteria from 3:00PM-4:00PM, including books sales and author signings. Below are details about each event, the books, and their authors, as well as pre-order forms from Belmont Books. These pre-sale books will be distributed at the event. Books will also be available for purchase at the event through Belmont Books. 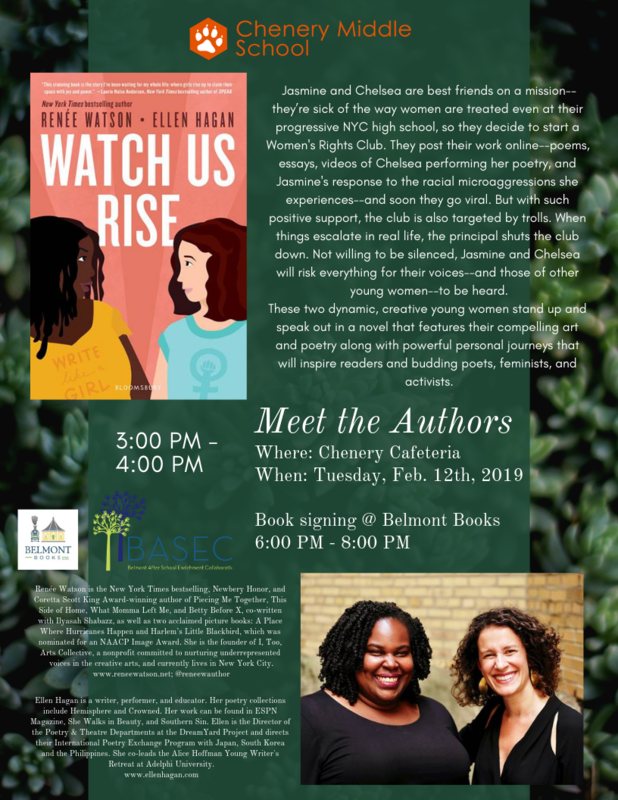 If you have any questions about the events, please reach out to Chenery’s head librarian, Karen Duff at KDuff@belmont.k12.ma.us or BASEC Director of Community Education & Engagement, Annie Gladfelter at annie.gladfelter@belmontbasec.org.